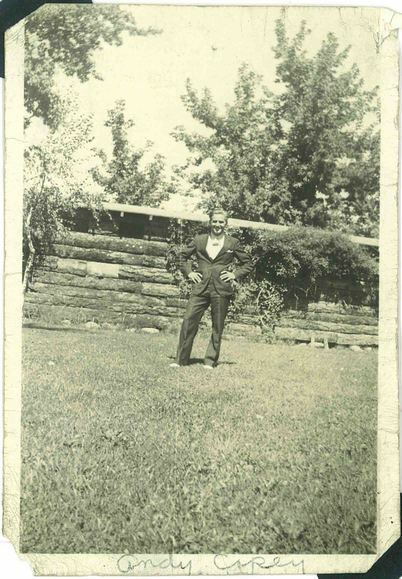 Comments: Andy Carey (Nee: ) | United States | 1921-1940 | Comments: This is a snapshot photo of a young man in an outdoor setting. Handwritten note at bottom of front reads: "Andy Carey." There is nothing on the back. Photo was in an old Fordon family album but I've no idea what the connection is. The Fordons were from Geneva, New York.